ADB really does justice to the entire feel of Warhammer. He is descriptive but not OVERLY descriptive to the point of tedium like some Black Library authors and conveys a sense of violence and blood in a way that would make Khorne smile. 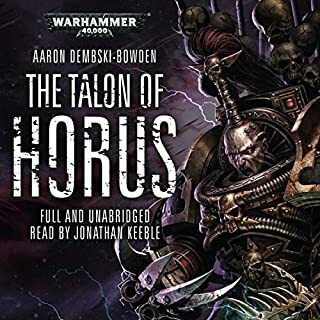 Overall a very good book that makes you unconsciously side with the Black Legion for once, I've already downloaded the next in the series!